December is almost here! 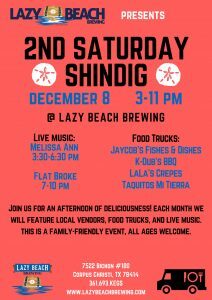 Join us for another fun 2nd Saturday Shindig! The taproom will be open from 3-11 pm. 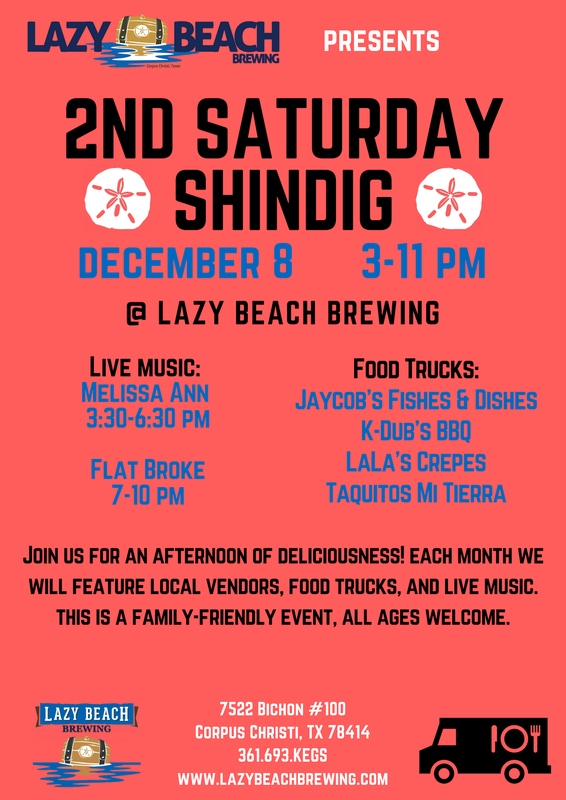 Great beer, tasty food, local vendors, and live music!! This is a family friendly event, all ages welcome. Fulton Kettle Corn will be popping tasty snacks as well! Come get lazy with us!